Sharing of knowledge in a collaborative, hands-on environment is a hallmark of MIT's "Mind and Hand" educational philosophy. The value of this approach was recently demonstrated by a team of faculty and graduate students in the School of Engineering, who created a program in smart manufacturing for operations and factory managers from lightweight metals engineering and manufacturing giant Arconic — and won glowing reviews from them for content and delivery. The MIT Smart Manufacturing Leadership Program, developed in collaboration with MIT Professional Education, featured several webinars and a pair of four-day, on-campus sessions held in September 2017 and January 2018. In addition to classroom training, the program provided hands-on practice with a custom tabletop fiber extrusion system — a data-rich manufacturing-education hardware kit — constructed by a number of graduate students from the Department of Mechanical Engineering, five of whom also served as teaching assistants for team exercises. 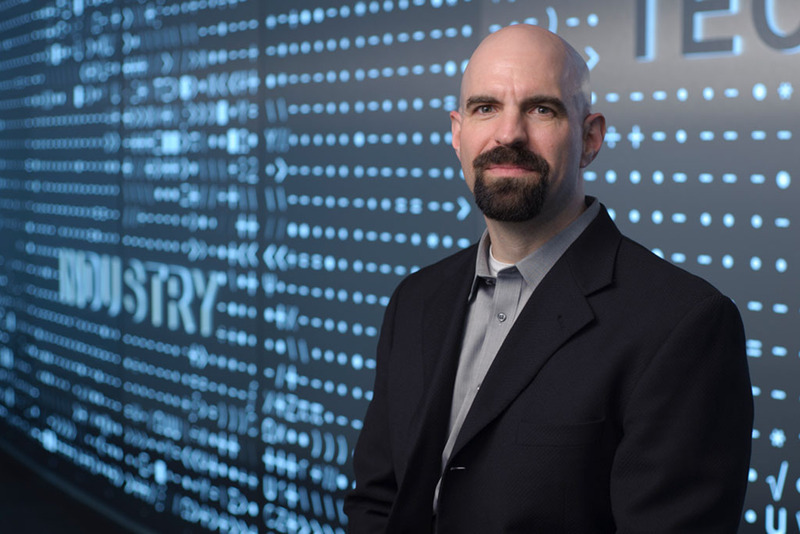 MIT's faculty director of the program was Brian W. Anthony, director of programs and outreach for MIT.nano and a principal research scientist in the Department of Mechanical Engineering and the Institute for Medical Engineering and Science. He and his students have worked on the development of manufacturing-related educational methods, materials, and machines. Preparation for the Arconic program included many conversations with company executives and a worldwide survey of their operations managers and directors, Anthony notes. The company began fabricating aluminum parts in 1888 and now serves demanding sectors like aerospace, automotive, architecture, and commercial transportation. Extending this success into the future will require new levels of interdisciplinary collaboration and technology integration, including the use of advanced sensors, data analytics, and learning to produce new and actionable factory intelligence — and Arconic sought MIT's help in preparing its operational and technical leaders for the task. "We found that Arconic had many people with diverse education and experience, as well as deep expertise in individual areas, but wanted to develop their skills in connecting the full technology stack required to realize a smart manufacturing enterprise. So, MIT's job was to provide a common technical language and technological framework to think about, model, and deploy smart manufacturing, both broadly and in the context of their business, and help support their plan for doing a lot of internal mentoring," Anthony explains. He enlisted fellow School of Engineering faculty members Duane Boning, Dave Hardt, Richard Braatz, Kamal Youcef Toumi, and Stan Gershwin for the effort, along with eight graduate students — mechanical engineering PhD students and students in the Master of Engineering in Advanced Manufacturing and Design program. "The class really tied the smart manufacturing structure together, starting with sensors, building to hardware systems and data analytics, and making connections into the overall framework," says Leslie Suffredini, an engineer who serves as operations manager at Arconic Engineered Structures in Cleveland, Ohio. "We got a better understanding of what's needed for our facility and our business, and what it will take to implement smart manufacturing effectively. We just put up our first data visualization board; before only engineers would see that data, now everyone is looking at it." Payback was even more immediate for Bradley Carter, who recently assumed leadership of Arconic's Smart Manufacturing Center of Excellence in Springdale, Arkansas. He and colleagues from a wheel-forging plant had been discussing a process control problem for several months; at the January session, they were inspired to sketch out a data-driven solution that has worked since the first time it was tested. Anthony notes that the initial September session provided insights into the participants' background and needs, which led him to develop the hands-on aspects of the January session. "Sitting in a classroom runs counter to the way these leaders learn on the job, so we wanted to use hardware, do experiments, and make the concepts we were conveying more tangible," he says. Fortuitously, a group of his graduate students, led by PhD student David Donghyun Kim, had been working on a tabletop fiber manufacturing system that could bring a lab experience into the classroom. "It's a relatively simple system that heats and extrudes a piece of polymer stock into a thin fiber, but it provides a rich data platform," Anthony notes. "You control the temperature, material feed rate and uptake rate, and measure parameters like the diameter and mechanical properties of the product and temperature distribution of the fiber coming out and the actual speed of the uptake reel. Then you can start analyzing this rich multi-dimensional data to extract actionable information for feedback control or machine improvements." Kim says measurements as simple as the diameter variation provided "a great data set for identifying irregularities, and exploring whether they're coming from hardware issues or random errors. It's a good starting point to see how data analytics can be applied." He added, "the participants from Arconic were very knowledgeable about heating systems and raised a lot of questions about that aspect of the extruder. I hadn't realized how critical it would be, and it was a very good experience for me to learn that." A bonus was integration of control units and analytics systems from Siemens and Rockwell. Both are key suppliers to Arconic, and Anthony notes they "put a lot of their own time and capabilities into integrating their solutions with our equipment and our education plan." This helped to reinforce the learning goals and to demonstrate advanced technology deployment on existing and new hardware systems, an important consideration for Arconic given the heterogeneous range of equipment at its 156 facilities worldwide. Linda Golinghorst, who oversees information technology (IT) strategy and operations across 13 Arconic rolled-products locations, serves as an internal mentor for the company's smart manufacturing initiative, which emphasizes integration of IT and operational technology (OT). That requires new levels of engineering-operations collaboration, and Golinghorst says the MIT experience has fostered a tighter connection between business strategy and operational change. "It changes how we approach a problem," she says. "I just had a conversation with two operations leads and suggested that they work with the engineering team to understand the data off the gauge in order to find a solution. That's a conversation that in the past probably would have just been with the engineering team, but this approach creates a very powerful energy and collaborative drive for improvements." Plans call for additional groups of Arconic manufacturing leaders to go through the course, as the company pursues its strategy of deploying smart manufacturing as a foundation for using information and intelligence on the factory floor to maximize operational efficiency and strengthen its leadership positions. "The real value of smart manufacturing is in gaining both a clear understanding of the technology and the ability to leverage that knowledge as part of what our people do every day," says Tim Myers, president of Arconic Global Rolled Products and Transportation and Construction Solutions. "Partnering with MIT, one of the most widely renowned learning institutions, offers our operational and technical leaders this essential combination of learning and development experience, and it strengthens our position as a world class manufacturing organization." "This was truly a collaborative program development experience between our faculty and a leading manufacturer, Arconic, with MIT's mens et manus (mind and hand) approach firmly embedded in the curriculum design," says Bhaskar Pant, executive director of MIT Professional Education. "We particularly valued the contribution of graduate students in the execution of the program. The learning was on all sides, and we look forward to continuing to help advance Arconic's goal of increased productivity through advanced practices in smart manufacturing."